This publication is not the first to feature Kathy May’s medical knowledge but it is the first to feature her medical illustration! 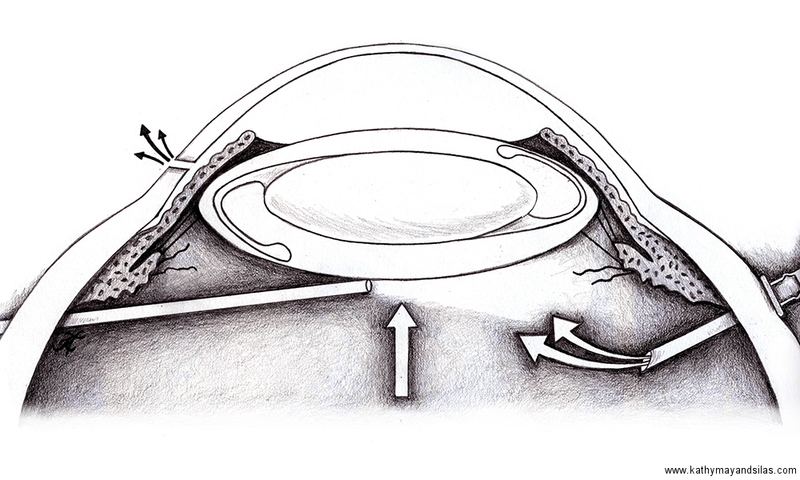 Take a look at this surgical technique paper by the one and only Ken Wald, written along with Joe Tseng, Jane Myung, and Alex Dillon that was published in Retina, the premier scientific publication for retina specialists. 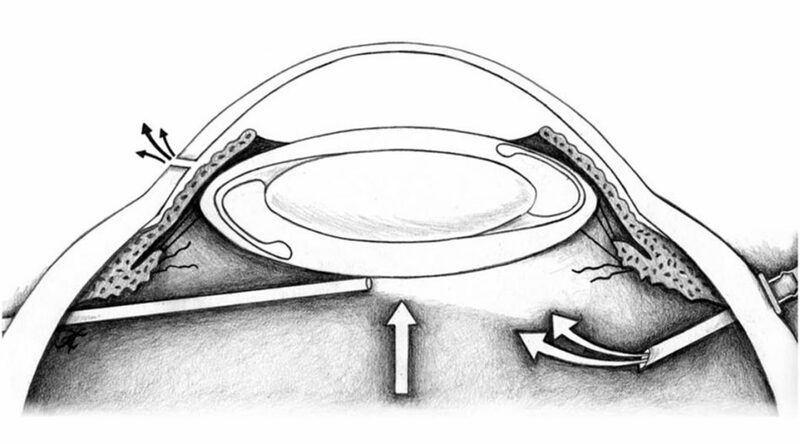 The paper describes a technique for managing the dislocation of an intraocular lens implant along with its surrounding capsule occurring at some point after previous cataract surgery. 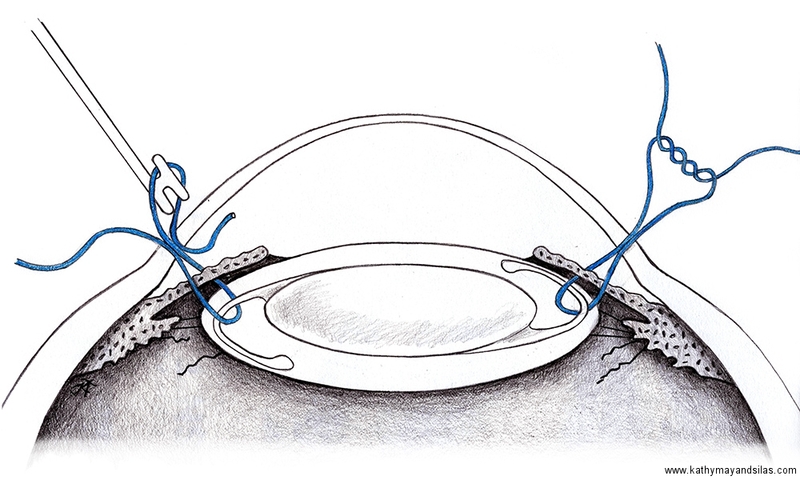 The whole lens-capsule complex is sutured to the back of the iris while being held in place from behind by tools and fluid infusion. 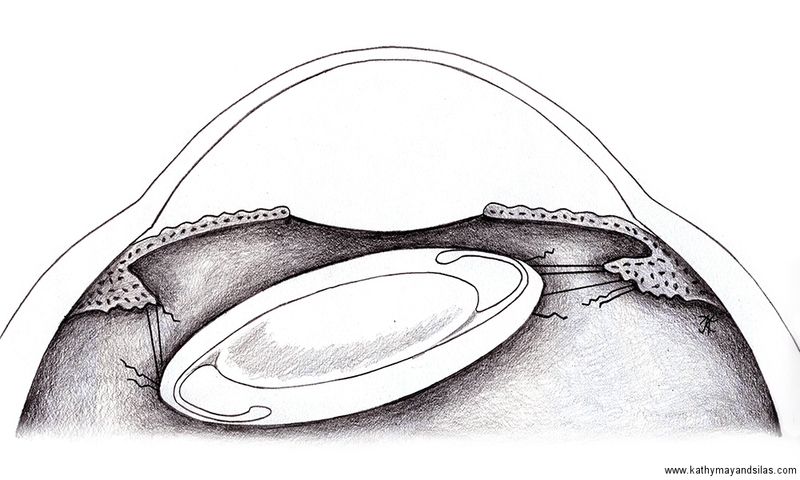 This technique allows the surgeon to secure the lens implant back in place while minimizing manipulation of the lens and avoiding the need to remove and replace it with a new lens. 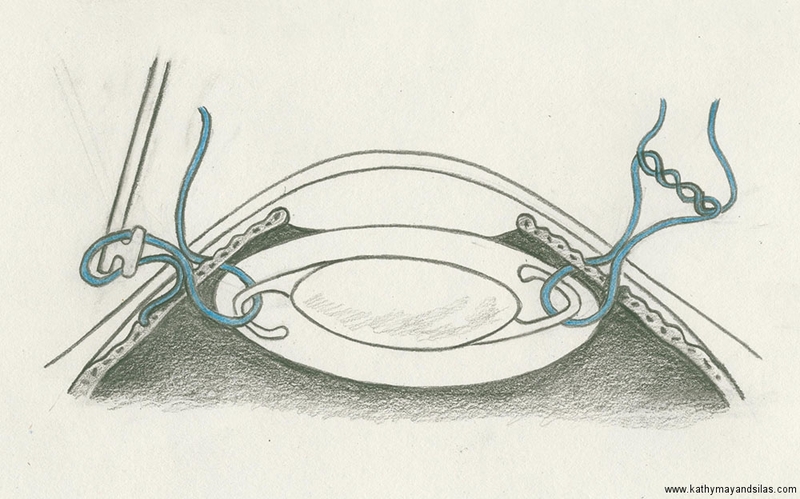 If you or your colleagues are in need of medical illustrations, I am volunteering Kathy May for opportunities! Click here to see some of Kathy May’s other medical illustration and artwork.